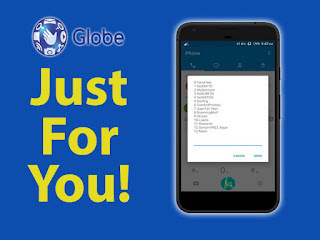 Every Globe prepaid subscribers can enjoy special promo offers also known as “Just for You!” You can enjoy discounted prices and free MB’s when you explore the available promos listed on this menu. It shows different offers designed for every SIM cards based on your lifestyle, recent subscription and usage history. You can register to GoUNLI30 for only 24 pesos, GoSurf50 for only P40, All-day Facebook for 20 pesos, unli surfing for P50 and other cheap call, text and data promos. There is also an option for get free MBs on your favorite games and apps using the Globe Switch app. 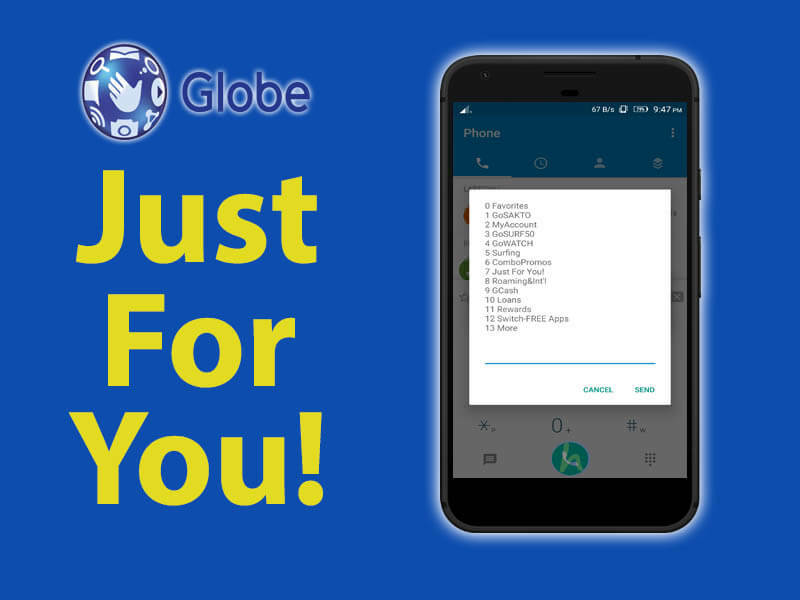 To subscribe the promo you need to use Globe USSD code menu by simply dialing *143# on your phone menu. Select option 7 or Just for You! Select from list of special and discounted promo available. Wait for the SMS from Globe, before you start using the promo. No need for maintaining load balance to enjoy any of your active subscriptions. Just make sure you have a good network signal or reception to avoid problem when using voice, data and SMS service.